75k Watercolor by Erik Heyl, 1948, of SS Alabama painted for use in his book "Early American Steamers", Volume I. 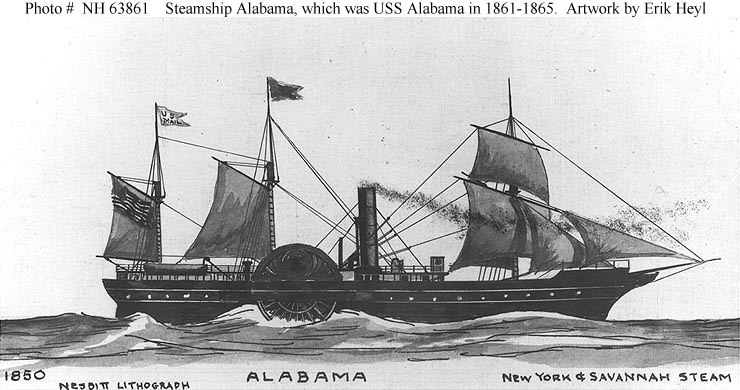 This steamship served as USS Alabama during 1861-1865. Courtesy of Erik Heyl. 186k "Merchant Steamers Converted into Gun-boats." 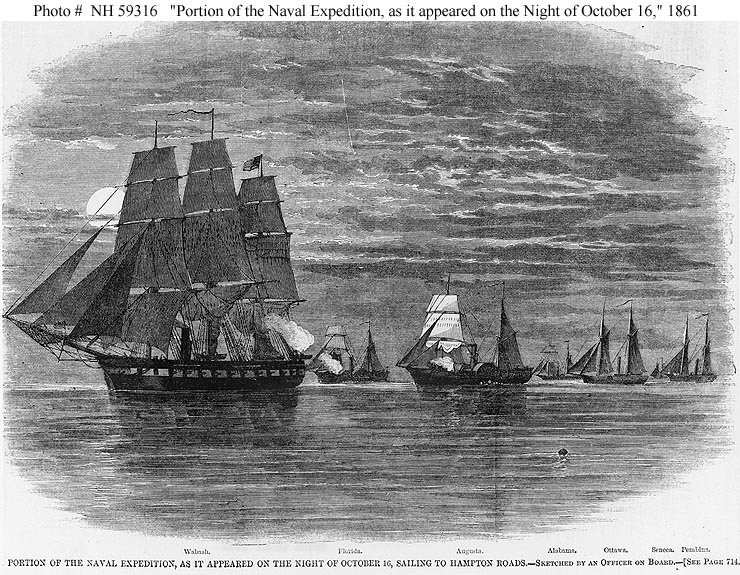 170k "Portion of the Naval Expedition, as it appeared on the night of October 16, sailing to Hampton Roads. -- Sketched by an Officer on Board. 1861". 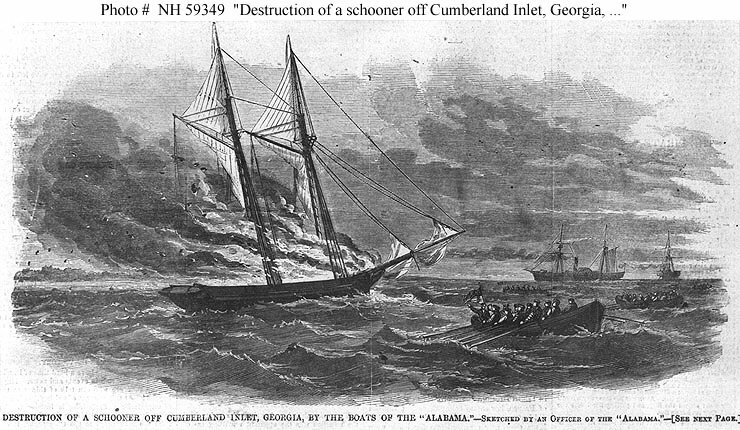 117k "Destruction of a Schooner off Cumberland Inlet, Georgia, by the Boats of the 'Alabama' -- Sketched by an Officer of the 'Alabama'." 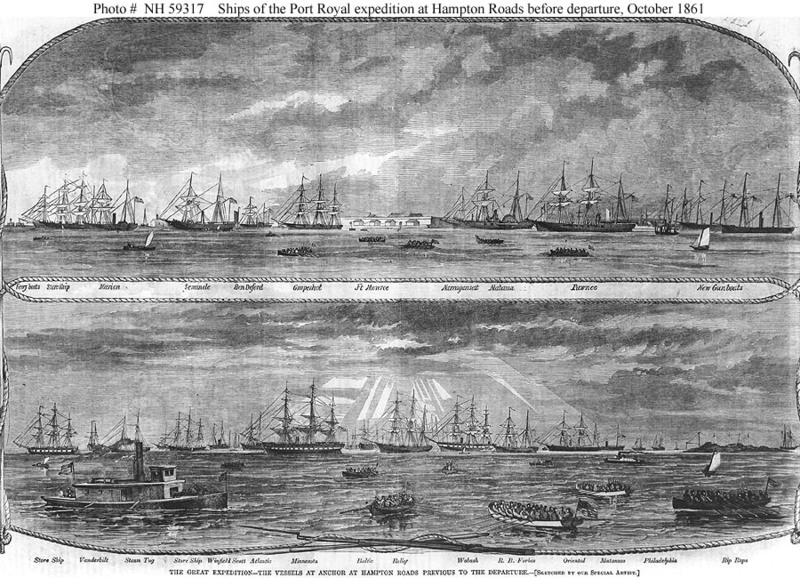 Line engraving published in "Harper's Weekly", January-June 1862 volume, page 65, depicting a typical incident of the Civil War blockade of the southern coast, circa late 1861 or early 1862. USS Alabama, which was then serving on the blockade of South Carolina and Georgia, is depicted in the right center distance. 144k Daniel D. T. Nestell, reportedly born in New York between 1815 and 1819, graduated with honors from the University of the City of New York's University Medical College (later the New York University School of Medicine) in 1843. Following graduation, Nestell, accompanied by one of his professors (Dr. Valentine Mott), traveled abroad for two years in furtherance of his medical studies. Upon his return to the United States, Dr. Nestell reportedly worked as a physician or apothecary until 1862. On January 25, 1862, Dr. Nestell was appointed Acting Assistant Surgeon, to serve on the U.S.S. Clifton (side wheel steamer). While assigned to the West Gulf Blockading Squadron, Clifton participated in the Battle of Forts Jackson and St. Phillip in April 1862, the Siege of Vicksburg in June 1862, and the First Battle of Galveston in October 1862, before being captured by Confederate forces at Sabine Pass, Texas on September 8, 1863. Nestell was subsequently held as a prisoner of war until January 1864, when he was released. After his release from Confederate captivity, and a subsequent furlough, Nestell was assigned to the U.S.S. Alabama (side wheel steamer), again serving as Acting Assistant Surgeon. Assigned to the North Atlantic Blockading Squadron, Alabama took part in the Union attacks on Fort Fisher from December 1864 to January 1865. 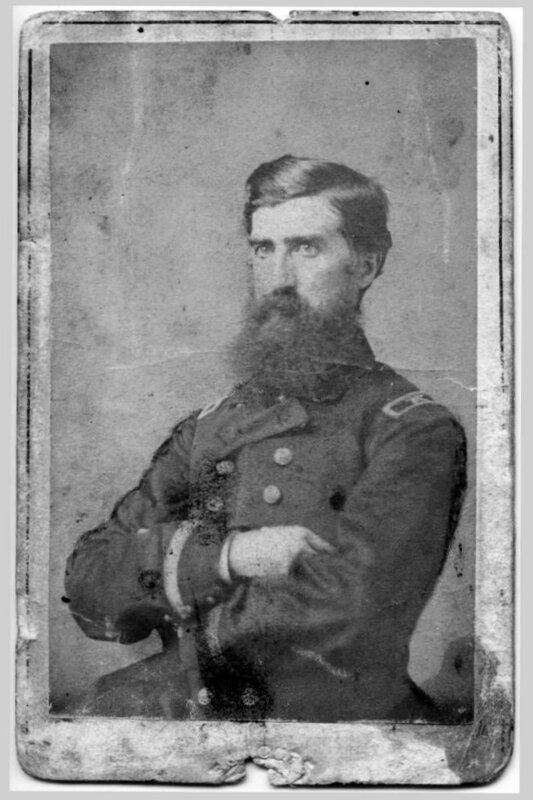 During the action at Fort Fisher, Nestell suffered irreversible hearing damage. Five months later, on June 6, 1865, Dr. Nestell's appointment as Acting Assistant Surgeon was revoked, and he was honorably discharged from the Navy in August of that year.